New speculation has come that Lonzo's camp may have been responsible for the information leak. 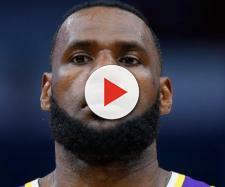 The announcement that LeBron James had decided to sign with the Los Angeles Lakers brought excitement to fans, and of course, his new teammates. That included young stars Kyle Kuzma and Lonzo Ball, who each tweeted about the news immediately after it was reported. After LeBron, the Lakers continued to add veteran talent to their roster. Of course, all that news has also created Lakers rumors involving other players. It's now being reported that based on possible Lonzo Ball trade rumors, his camp may have leaked some injury news out. The Lakers' point guard has reportedly been dealing with a knee injury. That injury, according to reports that surfaced over the past several days, is considered "minor." It's been one that Ball has been dealing with for about a month. He had a special injection into his knee for the injury and was also reportedly staying off the knee. The reports indicated that the injury wasn't severe and that Lonzo expected to be ready for the start of the 2018-19 NBA season. However, that sort of news also brings with it some doubts. A team that may have been interested in a trade package involving Lonzo Ball may have backed off due to that tidbit of information. One such team might be the San Antonio Spurs. Lonzo's camp leaked the news? A recent episode of NBA insider Adrian Wojnarowski's podcast, called "The Woj Pod," brought to light new details about Ball and the injury situation. It's mentioned during that recent podcast episode that the Lakers didn't want that information getting out. In addition, it's suggested "there's a belief around" the Lakers team, that Ball's camp was responsible for the injury news leak. It's also said that Lonzo may require some minor surgery to repair that injury. Usually, a sports surgery brings rehabilitation and recovery time. The Lakers may have wanted that information kept behind closed doors since Ball could have been discussed along with several other players in an NBA trade package with the Spurs. Basically, it may have been an attempt to get into the heads of potential suitors. Recent Lakers trade rumors have indicated a trade package involving multiple players from the roster. It's possible that Ball was discussed, although speculation involved Brandon Ingram, Kyle Kuzma, and Josh Hart along with future draft picks. Still, the recent acquisition of Rajon Rondo, a veteran point guard in the league, may have been an indication the Lakers weren't set on keeping Lonzo Ball in Los Angeles. Most younger NBA players probably want to be on the same team with LeBron James before his glory days are over. 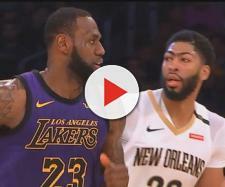 With the recent bragging by LaVar Ball about the fact his son now has the greatest player on his Lakers team, it wouldn't be far-fetched to believe there was a leak.